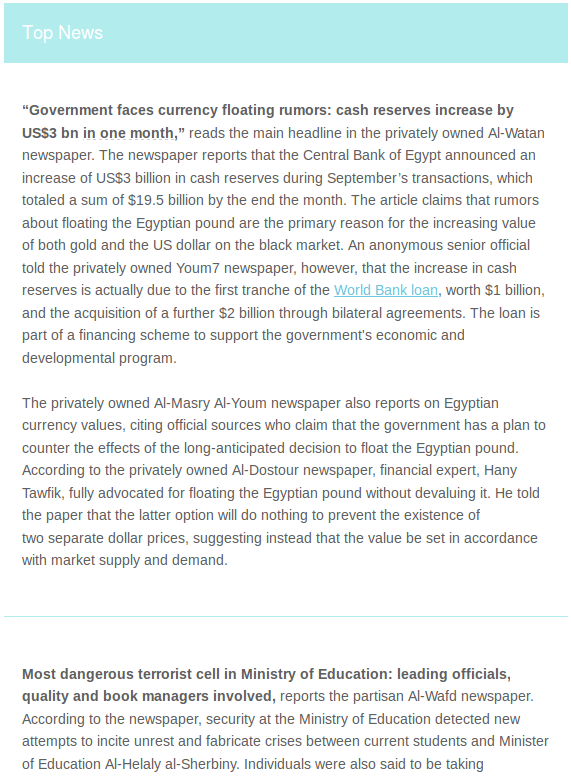 The Mada Morning Digest is a comprehensive daily overview of the Arabic-language press in Egypt, translated into English, summarized and emailed every morning from Sunday to Thursday. 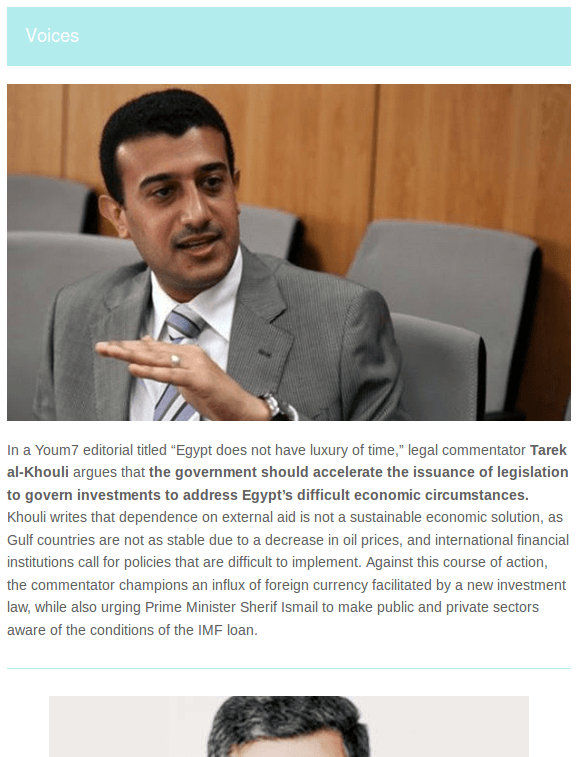 The Digest unpacks Egypt’s complex political, economic and social conditions as represented by local press. More than just the average press review, it gives a broad perspective that is contextualized and nuanced. Your account can be accessed from any device through a personal log-in, which also provides access to an archive of all previous days’ news. We offer a choice of packages, ranging from the standard offering to a premium subscription that adds a weekly report of trending topics on TV talks shows and popular tags on social media, as well as the institutional package which is ideal for business and institutions. For students and academic institutions, we also offer special packages based on your needs. 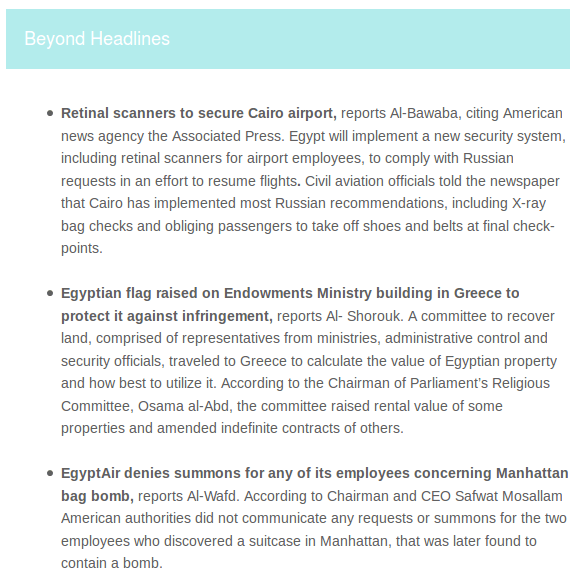 For more information on the service and our packages, please check out the Mada Morning Digest here and receive a two-week free trial.